Artificial turf covered geomembranes are now established as viable solution for covering landfill sites. They are inexpensive, don't erode and they last for decades. 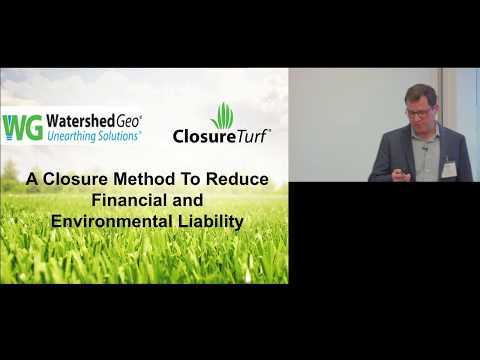 Mike Ayers, a geotechnical engineer with Watershed Geo, details the design and testing to prove the concept and makes the case for their application in mine closure. This presentation is part of McEwen Mining’s Innovation Lunch and Learn Series, hosted at the company’s Toronto office, and provided through the support of McEwen Mining.